The best way to break this UAE music exclusive is in the words of Marwan DJ BLISS himself. “Releasing my first single is a big deal, releasing my first single with Kardinal Offishall featuring on it is huge,” said the Dubai-based musician. ‘Let it Go’ by DJ Bliss featuring his mate “Kardi” as he fondly refers to the Canadian ambassador of Hip Hop, is expected in stores this week and the pair have high hopes for its success. In 2012, Offishall released Allow Me to Re-Introduce Myself, a collaborative mixtape with producer Nottz and has worked with some of the biggest stars of the music world including Timbaland and Lady Gaga. A music video filmed in the UAE, tabloid! 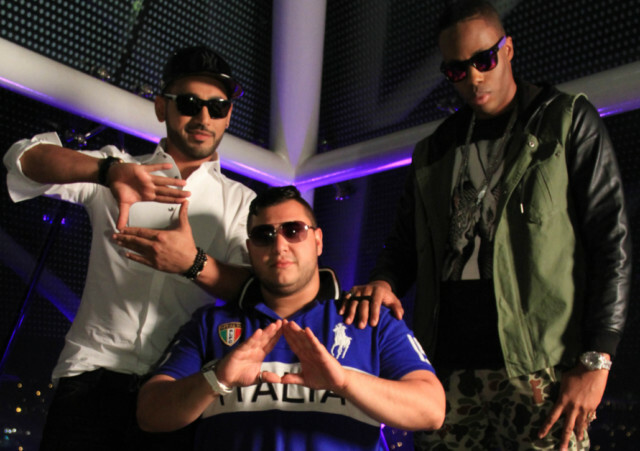 managed a sneak peak behind the scenes at some of Dubai’s hottest venues and caught up with both Bliss and his buddy Offishall. 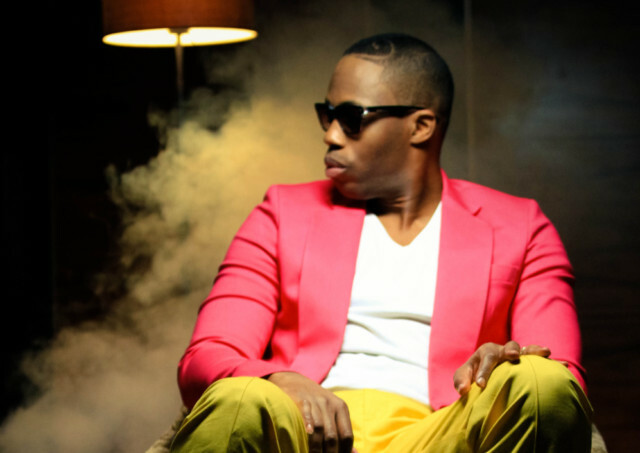 Q: Tell us about the project with Kardinal? A: I’ve known Kardi for a while now and we’ve always had a great bond. Working on my first single I had this urge to give it that ‘BOOM’ factor and Kardi was the first person that came to mind. He completely hyped up the song. Q: How did you guys meet and how did the project come about? A: We met back in 2009 when he had just done his track ‘Dangerous’ featuring Akon, which was such a huge hit across the world, that he joined Akon on his tour. While Kardi was here someone introduced us and we always stayed in touch. Q: What does the collaboration mean to you? A: Across Canada and the US, as well as Europe, he’s really made his mark and has worked together with todays biggest artists from Akon to Lady Gaga. Initially I thought it was cool have my boy Kardi on the track but then it changed to “Kardinal Offishall features on my first single”. Q: Where did you shoot the video? A: The whole video was done in Dubai, the director of the video David Zennie chose some beautiful locations but you’ll have to wait and see to find out. Q: Tell us a backstage story from the filming? A: We had a crazy car scene and it was the one day that we didn’t bring along a photographer but the next day people started sending me tweets and tagging me on Instagram with pictures random people had taken. Q: Why are these collaborations important for artists from the region? A: Dubai-based artists are trying to break into the music scene but unfortunately the radio stations won’t play their tracks. Having an international feature could be the stepping stone for GCC radio stations to recognize the talent that the Middle East has to offer. Advice to all reading: Support the local talent, share their content, request their songs on the radio and TV and buy their music. Q: Why the need to “re-introduce” yourself? A: Besides touring I took a short break to have a child and spend time with my family. So for my new fans just finding about me and my long term fans I felt the need to reintroduce myself as I step full time back into the music. Q: So why the collaboration with a Dubai-based artist? A: Bliss was the first person to bring me to the Middle East so when he reached out to me to be on his first single it just seemed like a natural thing for me to jump on. Bliss always supported my music so it was only right I support him. Q: Tell us about life in Toronto having been born a Jamaica? A: I was one of the first five in my family to actually be born outside of Jamaica. Growing up in Toronto was very multicultural and has a very heavy West Indian influence. I’ve experienced the best of both worlds growing up and living in Toronto. Q. When you were coming up in Toronto, were there big sounds that you followed? I used to follow Silver Hawk, Base Odyssey, Stone Love, King Addies, King Turbo and Red Flame. Q: Tell us your earliest musical memory? A: I remember Apartheid in South Africa at a place called Sun City when there was an anti-Apartheid movement. I bought one of the first cassettes I ever got and it taught me about social issues in the world. Q: How did you find Dubai? A: Dubai is a place that prides itself on opulence and excellence. My favorite moment besides the shows I did there would be when I went on an excursion into the desert. Driving out there, barefoot in the sand when it’s 117 degrees. That was such an amazing experience for me and I had a really good time. Let it Go is released this week in the UAE and will be available for download at djbliss.com For more infomration visit the website.